Celebrating the first Beastie Boys Rap Record from Def Jam, rarely heard because of the prominent AC/DC sample. 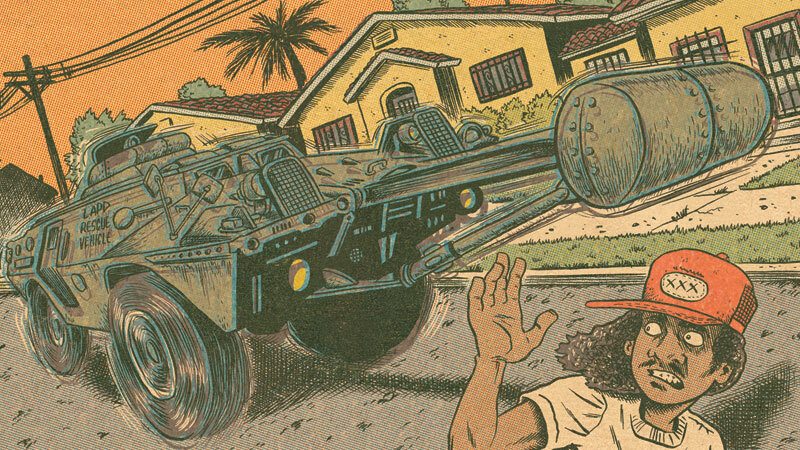 In the early 80s the LAPD would drive tanks through homes suspected of being crack dens. Batterram was Toddy Tee's rap response to this moment in history. A story about the biggest cocaine trafficker in Los Angeles, who also left a big impact on the developing Hip Hop culture of the region in the 1980s. The guys from 2 Live Crew were a California group made up of Air Force recruits. Who'd have guessed? "Just don't get too big for your britches, Andre"
A 1984 west coast classic from the Hip Hop Family Tree. 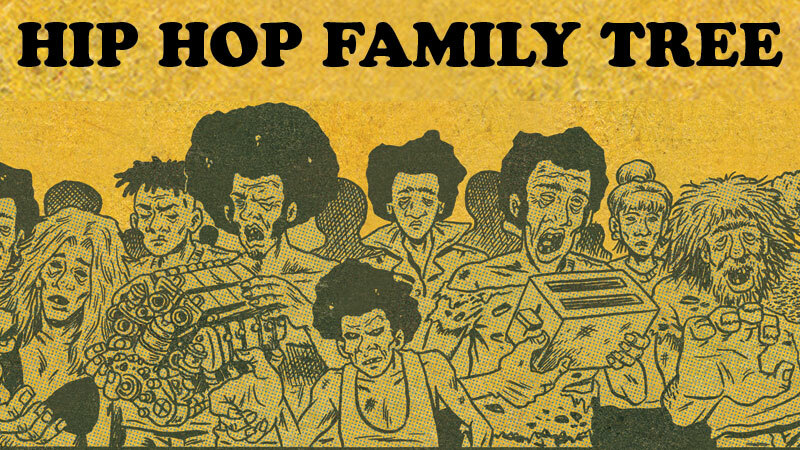 This week's Hip Hop Family Tree strip introduces arguably the biggest superstar Hip Hop ever created. 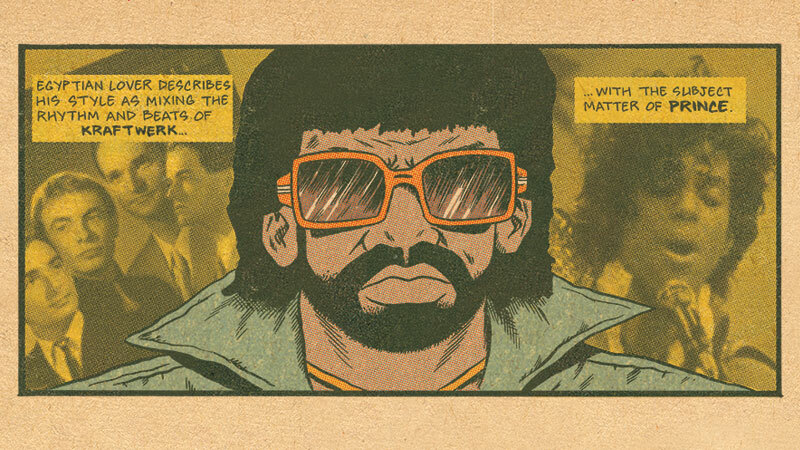 This week's Hip Hop Family Tree strip is about an obscure TV documentary from 1984 when Hip Hop was still trying to figure out what it was going to be. 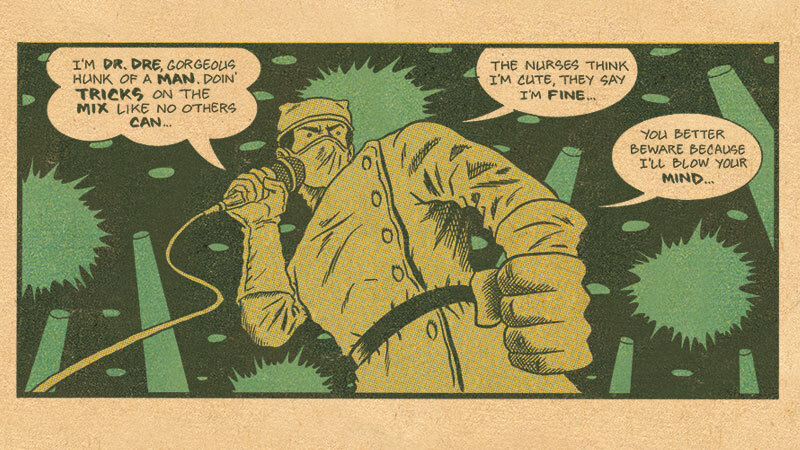 The special performances by the pioneers of the Hip Hop Family Tree might be the most interesting part of the movie Beat Street. A campy Hollywood moment from Hip Hop history. 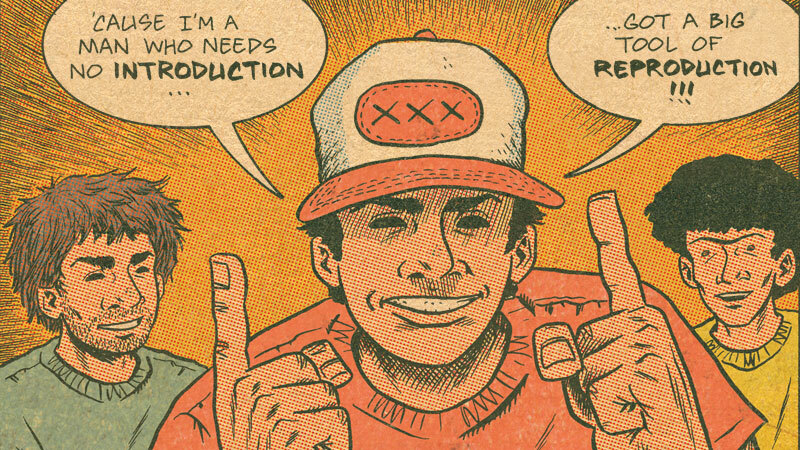 Hip Hop Family Tree: Beat Street Screenplay Gets Greenlit! 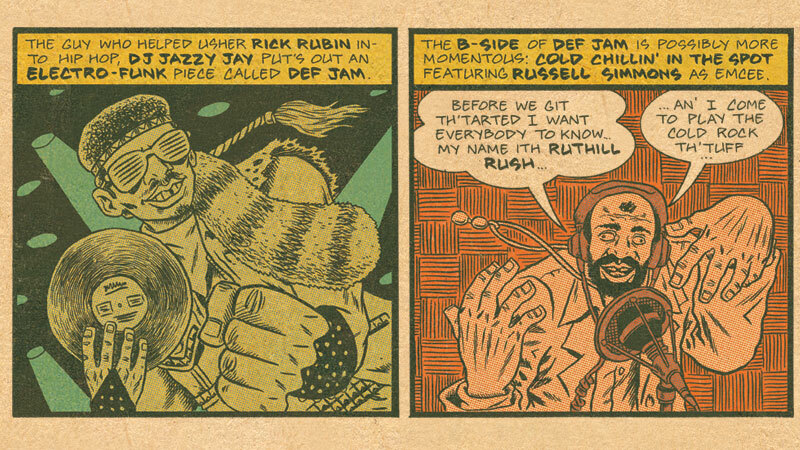 The second Def Jam release is imminent in this week's Hip Hop Family Tree strip by Ed Piskor. 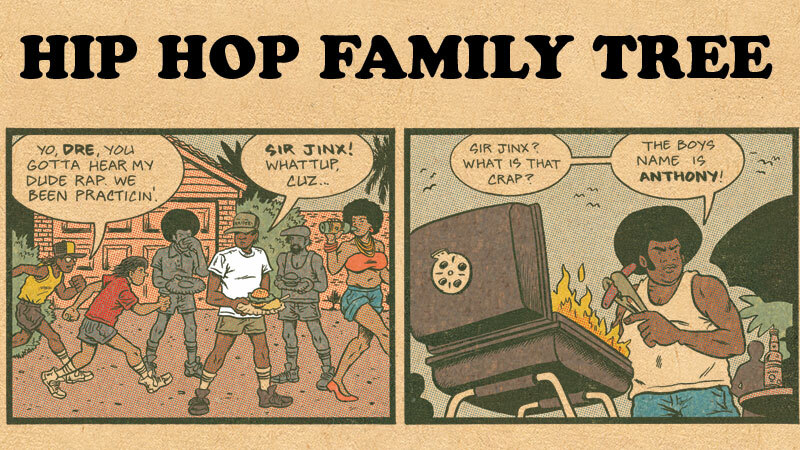 A short strip about the notorious feature film, Breakin' in this week's Hip Hop Family Tree strip by Ed Piskor.